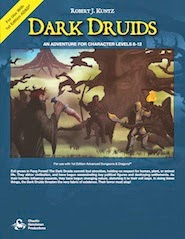 Twenty one pre-rolled and ready-to-print characters, ranging from 3rd-8th level, from a variety of classes and races. 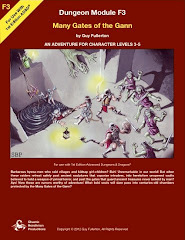 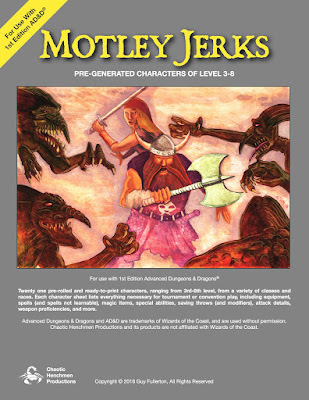 Each character sheet lists everything necessary for tournament or convention play, including equipment, spells (and spells not learnable), magic items, special abilities, saving throws (and modifiers), attack details, weapon proficiencies, and more. 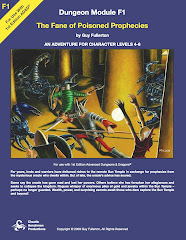 System: For use with 1st Edition AD&D.